The earliest rock art — in the Americas as elsewhere — is geometric or abstract. Until Early Rock Art in the American West, however, no book-length study has been devoted to the deep antiquity and amazing range of geometrics and the fascinating questions that arise from their ubiquity and variety. Why did they precede representational marks? What is known about their origins and functions? Why and how did humans begin to make marks, and what does this practice tell us about the early human mind? Rayed concentric-circles theme on dolomite marble, California. Photographed by Ekkehart Malotki. With some two hundred striking color images and discussions of chronology, dating, sites, and styles, this pioneering investigation of abstract geometrics on stone (as well as bone, ivory, and shell) explores its wide-ranging subject from the perspectives of ethology, evolutionary biology, cognitive archaeology, and the psychology of artmaking. The authors’ unique approach instills a greater respect for a largely unknown and underappreciated form of paleoart, suggesting that before humans became Homo symbolicus or even Homo religiosus, they were mark-makers - Homo aestheticus. 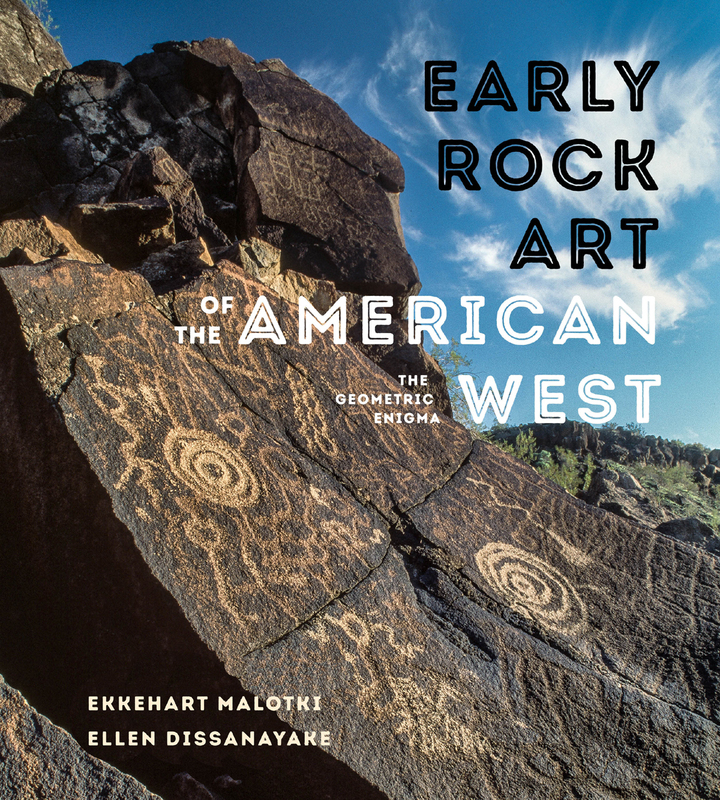 “In this welcome book a long-neglected rock art tradition is examined at length. The work is so wide-ranging that any reader will also learn about many important anthropological concepts. Last but certainly not least, splendid photographs accompany the texts throughout.” - Jean Clottes, author of What Is Paleolithic Art? EKKEHART MALOTKI is professor emeritus of languages at Northern Arizona University. He is the author of The Rock Art of Arizona: Art for Life’s Sake and Stone Chisel and Yucca Brush: Colorado Plateau Rock Art. ELLEN DISSANAYAKE is an independent scholar, author, and lecturer. She is the author of Art and Intimacy: How the Arts Began; Homo Aestheticus: Where Art Comes From and Why; and What Is Art For? 1-800-537-5487 or order online. Use promo code WST30.